(¸.·´Happy 4th of July! 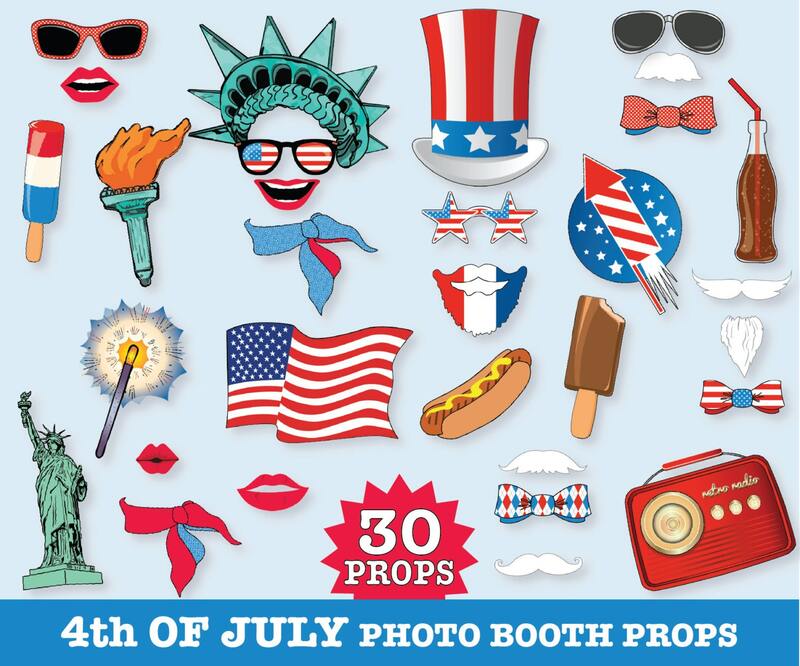 These festive 4th of July Photo Booth Prop will be a fun addition to your holiday celebration! The kit consists of 30 props including: Statue of Liberty Headdress ★ Statue of Liberty Torch ★ Uncle Sam Hat ★ American Flag ★ Retro Red Radio ★ Statue of Liberty ★ 3 Bow Tie ★ 2 Scarf ★ Fireworks Rocket ★ Starker ★ Hot Dog ★ Soda Pop ★ Ice Cream Bar - Red White Blue ★ Ice Cream Bar - Chocolate ★ Patriotic Star Sunglasses ★ 2 Patriotic Sunglasses ★ Patriotic Beard ★ Goatee Beard ★ 4 Mustaches ★ 4 Lips ★ Instructions, Plus Information for materials need & paper suggestions. 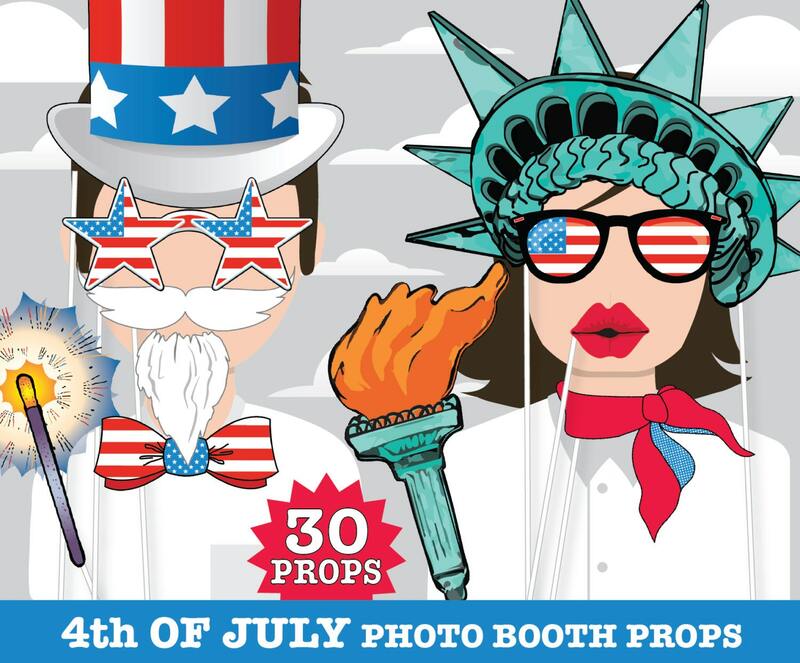 Wherever you go, whatever you you do... your day will not be complete without 4th of July photo booth props - - they’ll make your day a real celebration! This kit is so easy to do, you can print and cut them out watching your TV favorite show. There is fun in every smile! Capture the best moments and make them extraordinary! Printed these out today. They are simply perfect!! Thank you!